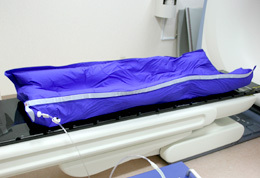 "Tomothery" installed in our clinic is radiation therapy system which is tender to your body and, at the same time, is severe to cancer because it is able to target cancer lesions accurately, as if it enfolds them, and consequently to relieve your normal organs from unnecessary exposure. "Intensity-modulated radiation therapy (IMRT)" can adjust directions, target location, range and duration of beam conforming to various and complicated shape of cancer lesions by the latest computer programming technology. 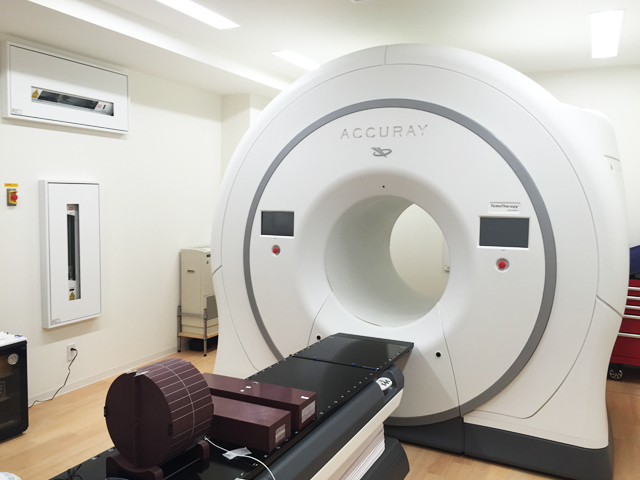 Furthermore, Tomotherapy can reduce damages to normal cells and organs because it has mage-guided radiation treatment (IGRT) capability, guided by PET-CT image taken just before therapy, that realizes very accurate radiation by adjusting radiation targets automatically. We have experiences of taking part in development of radiation therapy system at National Institute of Radiological Science, and many outcomes of effective treatment. Based on the experiences and knowledge, we build up very intricate and suitable radiation programs. Thus, we can control many of cancer, even multiple lesions, that is visible in PET-CT images. Furthermore, we have a unique therapy that combines "Tomotherapy" with immunotherapy. Even if you are diagnosed as "untreatable last stage cancer", we possibly might be able to provide you with effective treatment. Please refer to the outcomes and cases of our clinic by clicking the above list.Please refer to the outcomes and cases of our clinic by clicking the list on the left. For pinpointed irradiation to cancer lesions, location of patient body, thus locations of lesions have to be fixed during therapy. For the purpose, we provide each patient with a mat for his/her exclusive use that can fits and enfold his/her unique shape of body.